Last night I read a book. It was good, and I kind of want to talk about it, but there is no way to say what I think without spoiling the whole story. This is the problem with book reviews. I want to tell you all the things, but I don't want to ruin anything for you. I have a list of recently read books that I planned to review here, but I have yet to figure out what I want to say without revealing major plot points. So, proceed with caution. There may be (very small) spoilers ahead, and I probably won't limit myself to only sharing five books. I read this in June. You want to know a secret? It was my first Gaiman book. Is that surprising? 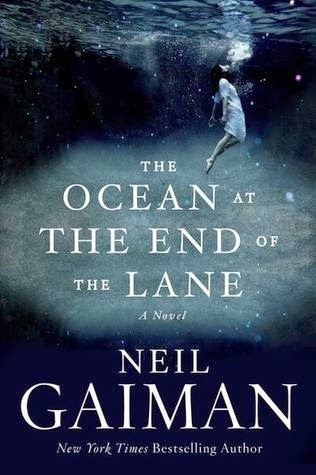 I feel like I have to turn in my reading-geek card, or maybe leave the internet forever now that I have admitted to never having read Gaiman before now, other than his tweets. Or maybe I am safe since I did read it, and now I can stay? I really loved this book. I want to tell you it was magical in unexpected ways, but I think I was supposed to expect the magic. What I didn't expect was how much I wanted to know more about Lettie Hempstock and her mother and grandmother. There are all these excruciatingly delicious unanswered questions about them that need to be answered, or at least, revealed in more stories. The writing was the true stand-out in The Ocean at the End of the Lane. And the food descriptions. Plan on this book making you feel really, really hungry when you read it. Even more so than when you read all those banquet and meal descriptions in the Harry Potter series. This was a great book. It wraps up with a neatly tied bow at the end. Probably too neat a bow, but I forgive Kline for her perfect ending. In Orphan Train, two very different, yet very much the same, stories intersect in the meeting of 91-year old Vivian and 18-year old Molly. The most interesting thing about this book was the historical aspect. I feel like I knew about the existence of the orphan trains. They appeared briefly in stories I read when I was a child, I'm sure. But I didn't know about the scope of the orphan train situation, that between 1853 and 1929, the orphan trains relocated approximately 250,000 children. These children were sent west, presumably to find new families. This book sent me down a historical research path that I quite enjoyed. There is one more thing I found interesting about the juxtaposition of Vivian and Molly's stories. 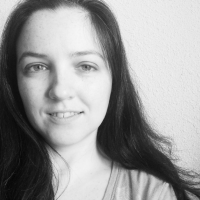 Vivian feels out of place, not only because of the death of her family, but also because she is an Irish immigrant. 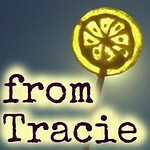 She is encouraged to let go of all her Irish heritage. Molly is basically an orphan, with the death of her father and her mother's abandonment and later incarceration, but she is also out of place because she is Native American. I really felt the absurd similarity of the Irish immigrant who does not belong because of her foreign heritage and the Native American who does not belong because of her heritage that is too much American. Andrea recommended this book. I read it over two days (it's long), and really enjoyed it. The back cover and goodreads description don't really tell you what the book is about at all. I mean, it is accurate - government experiments, a little girl, a dystopian future, a lot of walking - but it doesn't say the one word that needs to be said. I want to tell you what that word is, but I can't. Not so much because it would ruin the book, you figure out what the word is fairly quickly. No, I can't say it, because it would have held me back from reading the book, and I want you to give it a chance. This is a book that should be made into a movie. It should also never be made into a movie, because it is 800 pages long, and they would probably cut out all the good parts of the book, leave the not so important parts, and embellish it in all the wrong ways, ultimately killing everything good about the story. 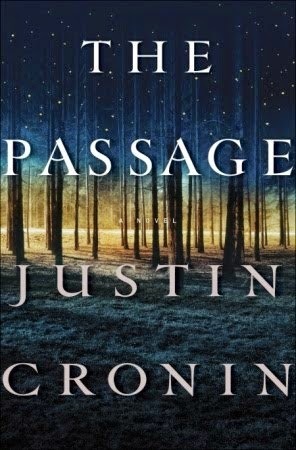 Book two is already out, and there is a third one on the way. Yes, it is a trilogy - I wanted to keep that from you, just like the word I can't say, but I have to be honest. Please don't hold it's trilogy-ness against it. I laughed. A lot. Out loud. I laughed at lot, out loud; loudly enough to be heard over the music in Thomas' headphones, and once, loudly enough to wake him up. Where'd You Go, Bernadette is absurd. It is wonderful. It is satirical genius. It is occasionally frustrating. It is full of the most wonderful emails ever mailed electronically. And then there is a mudslide. And a giant sign. And Antarctica. I know this review makes very little sense. You just have to read it to see what I mean. And then you have to tweet me during the mudslide. This is the book I read last night. I think I am ready to tell you things about it, now, without spoiling everything. Here's the thing about The Storied Life of A.J. Fikry, the good parts are really good, and the not-so-good parts are annoying. There are too many characters who seem like exactly that - overly quirky book characters. I will mostly forgive this because I quite liked the main character, Fikry, and because I am sometimes a sucker for overly quirky characters (I think it is Gilmore Girl's fault, I just loved all those townies so much). "Why is any one book different from any other book? They are different, A.J. decides, because they are. We have to look inside many. We have to believe. 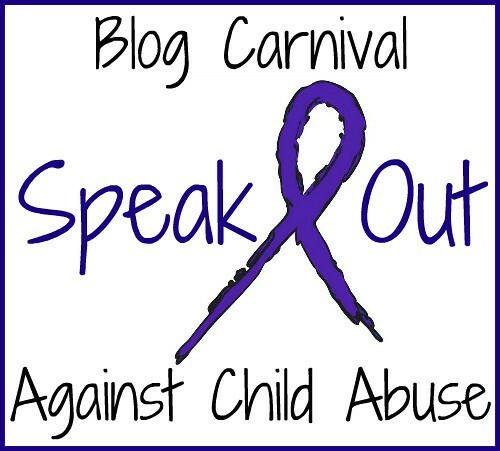 We agree to be disappointed sometimes so that we can be exhilarated every now and again." The bookish parts were the best parts, and make the book well worth reading. It felt immediately like an old friend. Sometimes that is the most important thing about a book. I will definitely read it again. One more thing I've been reading. Jasper Fforde. So much Jasper Fforde. 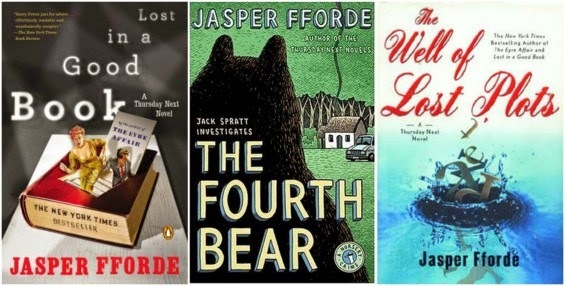 Because, you can never have too much Jasper Fforde. I picked back up on the Thursday Next series with the second book, Lost In A Good Book. It did not disappoint. As I waited for book three to come in at the library, I picked up the second Nursery Crime book, The Fourth Bear. It also didn't disappoint. And then I moved on to Thursday Next #3, The Well Of Lost Plots. The order in which I read these books was accidental, but it was accidental perfection. The Well of Lost Plots has a tie-in to the Nursery Crime books that is best served by reading it after you have read them. ...all the other Fforde books, as fast as he can write them! And, of course, you also need to read Shades of Grey. It was my first Fforde. It doesn't have the literary tie-in the Thursday Next and Nursery Crime books have, but it is special in its own way. 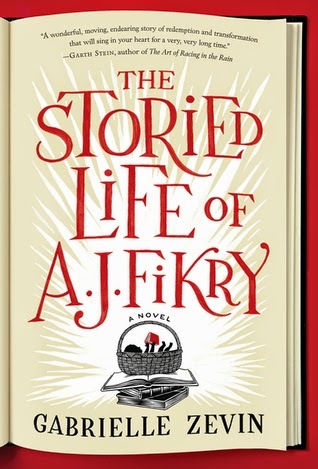 I gave all of these books, except The Storied Life of A.J. Fikry, five stars on goodreads. I always star my books over there, but don't often write reviews. That's what a blog is for, right? But I enjoy reading other people's reviews after I finish a book, and I often wonder how other people choose their star ratings. Do they have a system? I've seen a couple of people mention giving "points" for certain things, and the points determine the star rating. My star system is much less complex. If I love it, really love it, it is five stars. If I mostly loved it, it will probably get four stars. Liking most of a book, but not loving it, will earn three. Disliking most of a book will result in two. And one star is reserved for the books I hate. What about you... How do you rate books? And what have you been reading lately that I need to immediately add to my reading list? Welcome to the Gaiman dark side! FYI, the Hempstocks show up in many of his books. And I listened to Bernadette on audio, and I died laughing during the mudslide. I agree. 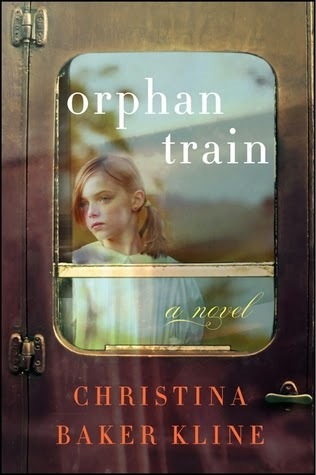 Orphan Train was fantastic. I haven't read any of the others. I will admit that I've never even heard of Gaiman. 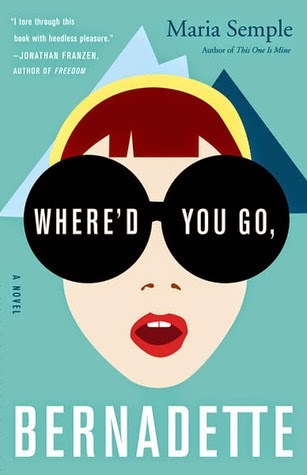 Where'd You Go, Bernadette will be my next read. Thanks! I love to read but I'm lucky if I get to read more than two new books a year, that's how busy I am. I'll certainly consider these suggestions! Okay, you probably know I read the first four. 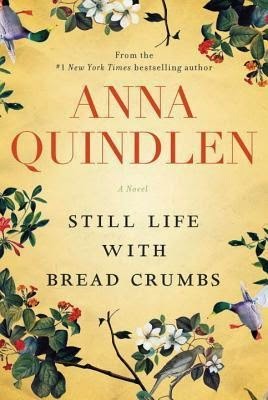 ;) But I've been wanting to read the Anna Quindlen book for a while, so now I think I have to get a copy.